The truth is out. Yeo-Ri finds out Jiwon’s ulterior motives. Unaware of the hurricane coming, the car ride home is gloomy. Maya stares outside the car even as Mooyeol asks her to be happy at home. He tells her to try to forget Yeo-Ri. Maya does not answer and Enok snaps that a child cannot forget even a pet, how is Maya supposed to forget her mother. At the same time, Maryun holds Yeo-Ri at their house. Maryun reminds Yeo-Ri that she needs evidence. The Koo’s won’t confess to anything without evidence. And, confronting Jiwon would only lead to Jiwon trying to stash Maya away. Mooyeol comes back to work and finds Haejoo in his office. She asks who Mihee Choi is. He, of course, lies because the Kims grew up on lies. Haejoo shows him the report and asks how he can lie that he does not know? Mooyeol tries to calm her down that Jiwon did not want Haejoo knowing as it would shock Haejoo. Haejoo declares that she cannot trust his words. She rushes off with Mooyeol following since he loses the building if Jiwon finds out that Haejoo knows about Mihee. Do-Chi visits Doyoung in the hospital. Doyoung asks if Do-Chi is still seeing Yeo-Ri. Doyoung explains that family becomes part of a CEO’s image…this kind of complicated family will only become a weakness for others to gossip about. 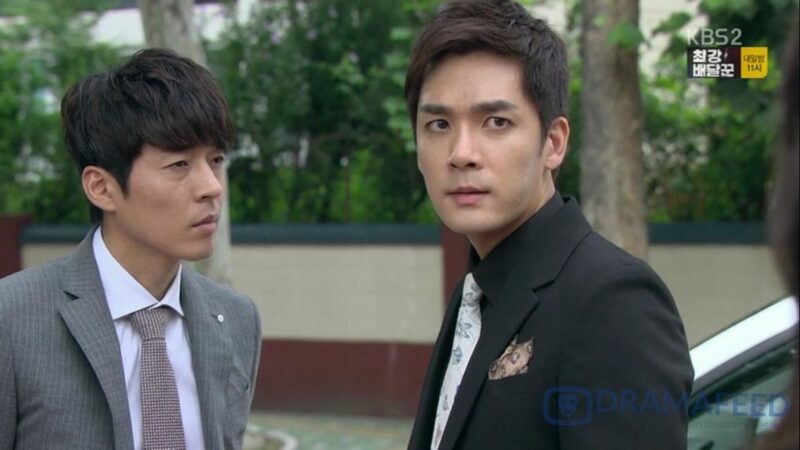 Do-Chi answers that he cannot give up on Yeo-Ri or Maya just for image. That evening, Yeo-Ri calls Enok to ask if Enok knows why Jiwon adopted Maya. Enok answers that she doesn’t know the reason other than the real Maya died. Cue dramatic scene in the Koo residence. Haejoo charges in screaming for Jiwon at the top of her lungs. When Jiwon walks out asking what is wrong, Haejoo immediately asks who Mihee Choi is. Jiwon pauses probably to figure out her lies. So, Haejoo continues to yell that Mihee Choi is her biological mother…Haejoo asks why Jiwon kept this from Haejoo and lied to her. 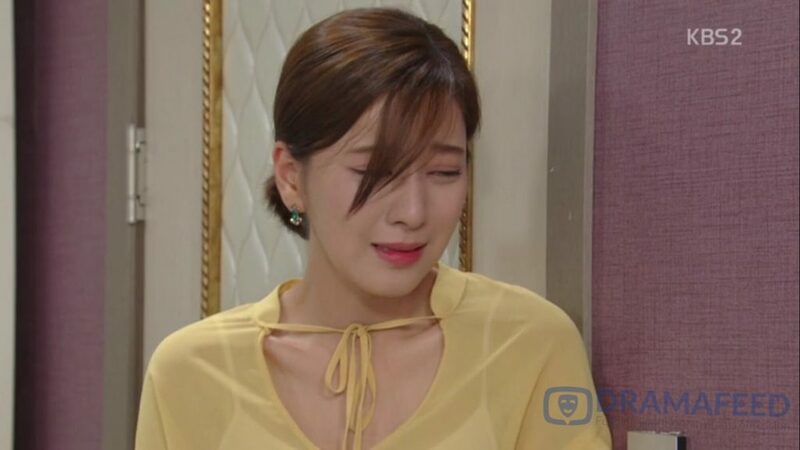 Jiwon lies that she only did it because she thinks of Haejoo as her real daughter. Haejoo does not want to hear it and runs upstairs to her room. So, Haejoo is throwing a screaming fit because she found out that her biological mother might be alive. But, this calls for some major sob inducing background music as Jiwon screams through the door that Haejoo was Jiwon’s daughter just like Haejoo fell in love with Maya. Jiwon promises to give Haejoo some space and goes downstairs. In the living room, she snaps at Mooyeol for being a failure at life and not keeping Haejoo in the dark. She also declares that she is no loner going to give Mooyeol the building. 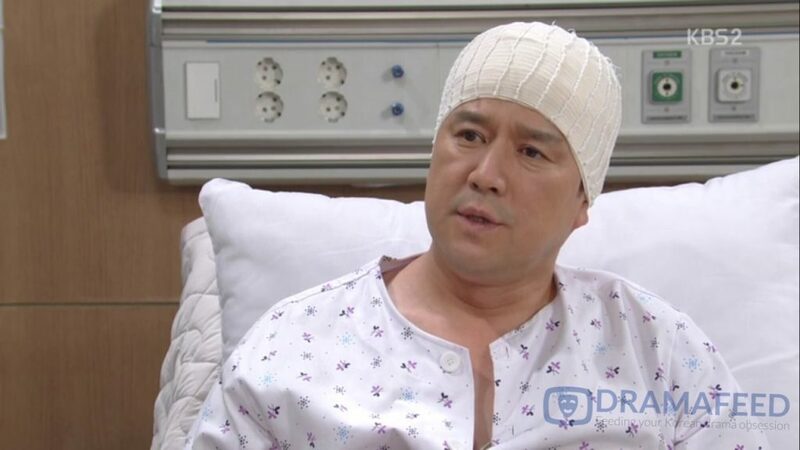 At the same time, Yeo-Ri meets with Do-Chi in the hospital. She explains that she wants to confront Doctor Kim…She had been adopted as a living donor for Haesung and she believes that Jiwon brought in Maya as a living donor for Gaya. Unfortunately, the doctor is not in and they agree that they can come back in the morning. The next morning, Haejoo is still pissed off about being lied to. She leaves without talking to Jiwon. Meanwhile, Do-Chi and Yeo-Ri meet up with Director Kim in his office. They begin by showing him a video of Doctor Kim adding the anesthesia to Doyoung’s IV… Do-Chi offers to delete the video if Doctor Kim answers their questions honestly. Yeo-Ri then asks if Doctor Kim knew that Maya is adopted and whether Maya was given a bone marrow test. Doctor Kim sighs that when the original Maya died, Jiwon brought a small child and asked for the bone marrow test against Gaya’s bone marrow. Mays’s barrow matched. Yeo-Ri stumbles out with Do-Chi next to her. She sighs that Maya was just like her…adopted to be a living donor. Then they see Jiwon walking to Doyoung’s room. Jiwon storms into Doyoung’s room and yells at him for telling Haejoo about Haejoo’s biological daughter. Doyoung sighs that Haejoo had a right to know. Jiwon frowns and yells that Doyoung cannot do this to her. She did so much for the family. She even brought home Yeo-Ri’s daughter so that Maya could be a donor if Gaya gets sick! Yeo-Ri and Do-Chi walk into the room. Yeo-Ri asks how Jiwon could do this again. Jiwon denies it because lying is like breathing to her. But, Do-Chi tells Jiwon to stop lying as they have evidence from a witness. They play the recording of the doctor saying that shortly after Maya died, Jiwon came in with a child to test her bone marrow. The child was a match. Yeo-Ri declares that she’s going to bring Bom home. Maya walks out after getting a call from Yeo-Ri telling Maya that Yeo-Ri will pick her up early from school. Except, Mooyeol arrives first. 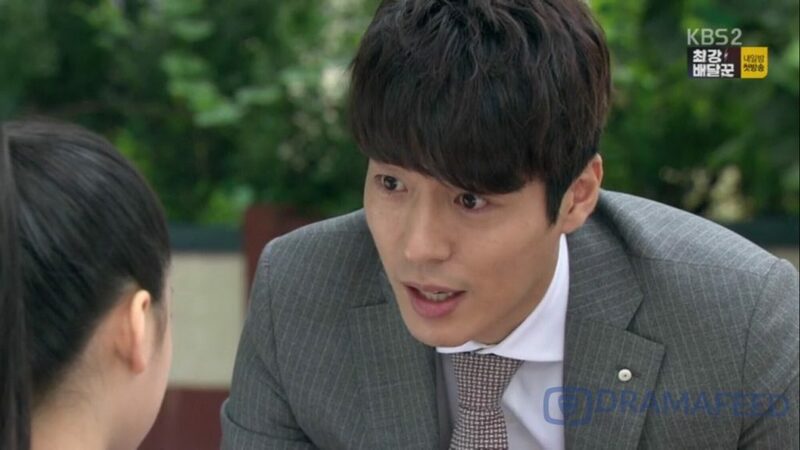 He lies to Maya that something came up and Yeo-Ri sent him to pick up Maya first. Mooyeol begins to take Maya away when Yeo-Ri and Do-Chi arrives. Tired of this coward’s ridiculous antics, Do-Chi grabs Mooyeol by his collar demanding to know if Mooyeol is there as Jiwon’s dog to do her bidding. Maya frowns seeing her father and grandfather fight. She cries for them to stop and Do-Chi pulls away growling that Mooyeol is lucky Maya is there. 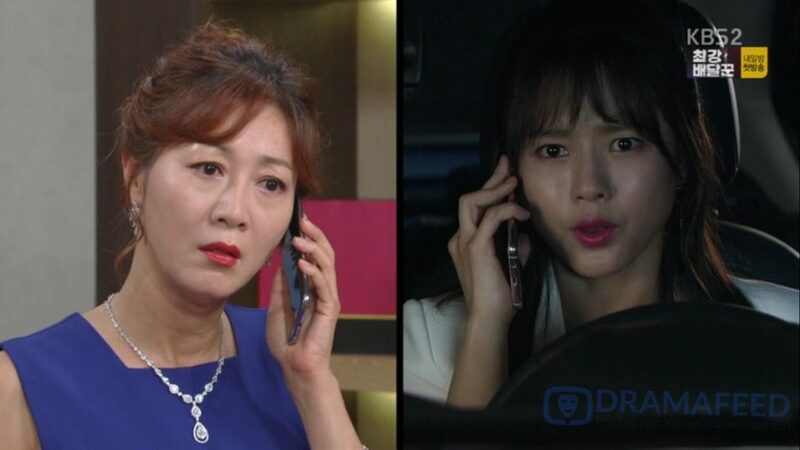 Yeo-Ri asks Do-Chi to take Maya into the car. Then, she confronts Mooyeol asking if he was willing to sell off their daughter to Jiwon for money and a job. He, of course, denies it. And, one of the final truths is out! Will the recording be enough for Yeo-Ri to keep physical custody over Maya? If family law is decided by a jury, I feel like Yeo-Ri would have a better chance at making her case than if her appeal were to be decided by a judge. Just the fact that that Jiwon had Maya’s bone marrow tested after Jiwon brought Maya home is circumstantial evidence. There is still a possibility that she had already decided to adopt Maya and out of caution, had Maya tested. On the side, what is Doyoung going to do now? The strong pillar of the family clearly did not pay enough attention to his family letting this all fall apart. He cannot pretend that he’s a victim. His own actions and decisions over Haejoo’s marriage and Mooyeol’s employment allowed for all this to happen. None of the Koo’s or the Kim’s are really innocent. At this point, they should stop digging in and start making things right. Unknown Woman Episode 71 Recap by DRAMAFEED | Copy & Paste Guidelines – Always put a link back to the source.